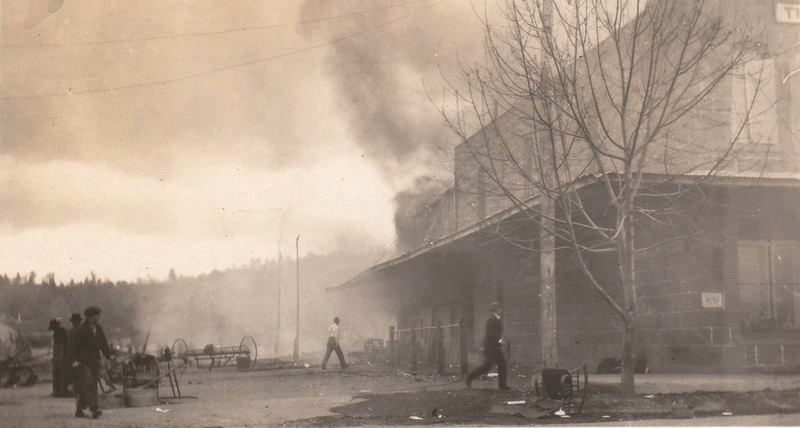 Within two hours on March 3, 1918, most of the businesses in Middletown were destroyed by fire. A tank house in back of Spiers Auto Stage garage was first to go, and the flames swept down the street in heavy wind. The offices of the Middletown Independent, the town’s first newspaper which was then in its 32nd year, were totally burned including the collection of all its published papers and its morgue of information and photos. The paper did not reopen and the Times-Star was started to fill the void shortly thereafter. The Herrick Hotel, formerly the Lake County House, was severely damaged. Snow’s butcher shop, Reed’s drugstore, Koopman’s billiards hall and fourteen other buildings were completely wiped out. Townspeople began rebuilding the next day.